The way customers buy has changed. It doesn’t matter which product or service you sell, your customers have changed their expectations and purchase process already. Whether you are prepared for it or not, they expect you to interact in a different level when making any sales communications. For example, when a sales person speaks to a potential customer, they expect him to provide valuable information that will make their purchase decision easy, not the standard product literature. They expect the sales person to have information in the finger tips and the process to flow naturally instead of creating any inconvenience to the customer at every stage. Hence, Organizations are currently in the process of moving their sales CRM solutions, as well as business processes to suit this modern way of selling. They need a solution which understands the requirements of the market and dynamically adjusts itself implementing all the best practices. They expect the solution to be very simple and straightforward, so that training new sales team members is easy and they can focus on what they are good at, selling! This is the precise reason why customers with sales requirements chose Oracle Sales Cloud, ahead of any other offering. This ‘designed for modern sales’ solution offers a flexible architecture which can be customized as per the organizations’ needs. It allows organizations to serve empowered customers, by providing them an experience they expect. One of the strong features of Oracle Sales Cloud is, providing a strong understanding to sales executives on what are the differentiators they have against competitors. This insight will help them decide on a unique approach of selling to each client. This improves the win ratio and enhances productivity. Oracle Sales Cloud is a mobile ready solution. It uses an insight driven business process where data as well as business intelligence is always available at the right place. Sales executives can use a collaborative approach to win. Its intuitive UI is fast, easy and customizable. Oracle Sales Cloud is part of Oracle’s CX suite of products. It has strong native integration with enhanced CX modules such as Oracle Service Cloud, Oracle Marketing Cloud, Oracle Social Cloud etc. In addition to these standard integrations, custom solutions can be built using its web services framework. A combination of all these factors play a key role in customers making the purchase decision in favor of Oracle Sales Cloud. We have observed that in every sales cycle, customers are finding their modern business requirements getting matched by Oracle Sales Cloud in a seamless manner. This gives them a confidence and the upcoming product roadmap for this product makes it evident that exciting enhancements are coming in next releases. 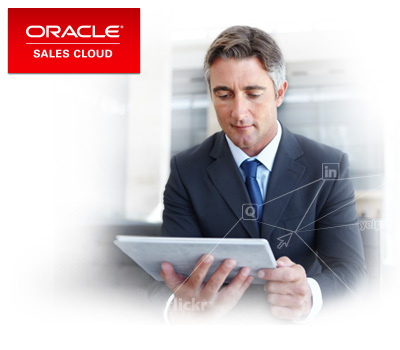 Oracle Sales Cloud is truly a solution for modern sales organizations! CRMIT Solutions has achieved OPN Specialized status for Oracle Sales Cloud –Oracle Recognizes CRMIT Solutions for Expertise in Implementing Oracle Sales Cloud. 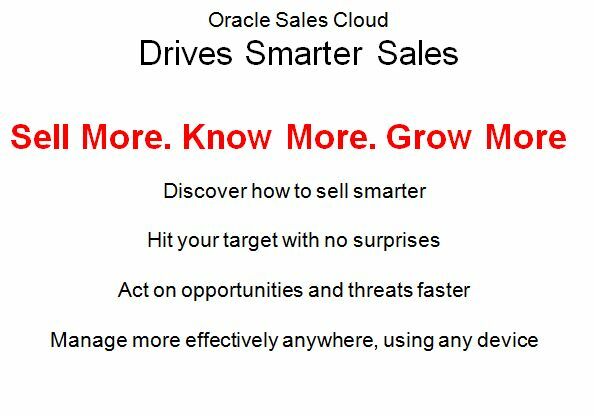 CRMIT Solutions Offers A Host of Solutions on Oracle Sales Cloud, Including Consulting, Sales Planning, Social Sales, Customer Data Enrichment, Field Sales Automation, User Adoption, Training, Health Checks and Testing. CRMIT Solutions deliver a Fixed Scope Implementation offering for Oracle Sales Cloud to fast track sales productivity. Fixed Scope Offering leverages Oracle best practices and agile approach for fast track implementation of Oracle Sales Cloud – Go Live in less than 4 weeks. It drives sales productivity through higher win rates, forecast accuracy, and lead conversion. This entry was posted in Cloud, CRM, Customer Service, CX, CXM, Oracle CRM On Demand, Oracle Fusion CRM, Oracle Open WOrld, oracle sales cloud, Sales Cloud, Uncategorized and tagged CIOREVIEW, cloud oracle, CRM/CX, Customer Experience, Oracle, oracle crm, Oracle CRM On Demand, Oracle Open World, oracle sales, Oracle Sales Cloud. Bookmark the permalink.